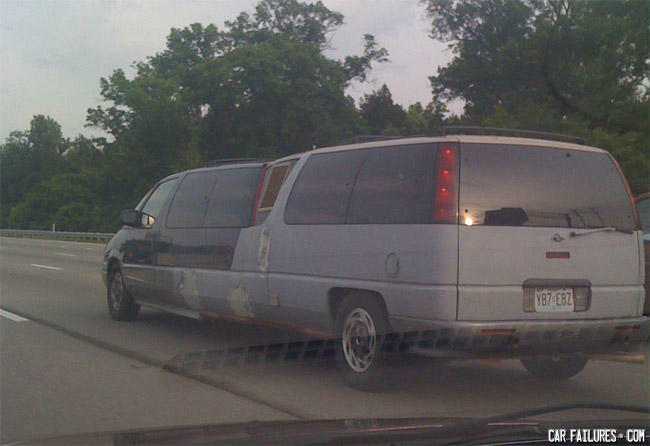 Wait, when did the Duggars move to Missouri? L-O-V-E! LOVE! LOVE! the two-tone and Spackle! A Transit and an Aerostar? Could they have picked two WORSE minivans to stick together? for as jank as it looks, that's actually really creative. MERCY! Somebody just loves Luminas. She got her arms cut off.